Just How Bad Does The Education Minister Have To Be Before She Is Sent Packing? Just how utterly incompetent (not to mention offensively rude) (oh and dodgy) does someone have to be to be ousted into the netherworld by John Key? Oh wait, they have kept Banksy around, so that answers that question. Seriously though, Hekia Parata has presided over a disastrous year in education. I’m not talking about policies here – I mean, any Education Minister will hit resistance not matter what, and despite me and millions of others thinking she is on the wrong track with Charter Schools and what not, I am thinking now of the way in which she has managed things. The technology teachers/class sized debacle in May was just the start. I mean, really, how can such a huge and serious change be proposed without the facts and figures being checked? That we a total embarrassment and made the Ministry of Education looks ridiculous. Then there was the impending closure of Salisbury School, which caters for girls with serious learning and emotional difficulties – a closure which courts ruled illegal and halted. Illegal. Get that – Hekia Parata, the Education MINISTER, is either not aware of the laws regarding school closures or is wilfully ignoring them and hoping to get away with it. Either way, it’s not a good look. Beaten and demoralised by 2 years of quakes, apparently this was a fabulous time to propose closures and mergers of Canterbury schools. The facts are well known, but for anyone who has been on the moon or meditating for the whole of last year, just know that schools were listed as having buildings they did not have, had long jump pits listed as liquefaction, were refused requests under the Official Information Act because of advice from Hekia Parata and the Ministry urging Christchurch Council to, well, obfuscate, fudge and fib their way into NOT giving any information out. Again the courts ruled that the behaviour was … you guessed it … illegal. Next bit of dodgy dealing – the way Charter Schools are being foisted on NZ. How utterly underhand to have the consultation period in the school holidays. Oh wait, didn’t they do that in Christchurch, too… it’s almost as if it was done on purpose… go figure. The panel supposedly considering whether we should have Charters, and if so, what form they they should take, is being overseen by John Banks’ bedfellow Catherine Isaacs and the panel has not one teacher, principal, or any other education expert on it. Yeah, that sounds mighty impartial to me. So there you go… a terrible year. Oh wait… what’s that you say…? Did someone whisper Novapay? What? It was rolled out despite advice that it should not be? What? Errors are still in the thousands after months of being live? 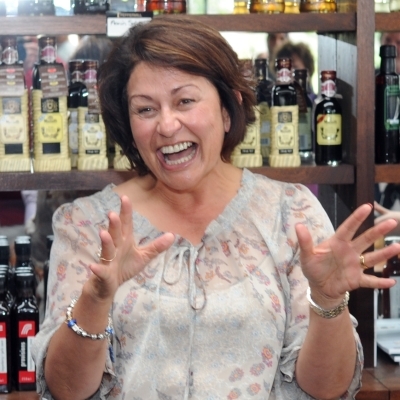 But Hekia fronted up and tried to sort it out, eh, so that’s something…. WHAT! She got an underling to take the flack? AND she beggared off on holiday without a by your leave? But she’s back now, eh, and sorting it ou….EH!!!! She’s still away? After a month. Really, just what do you have to do in the National Party to be given the boot?